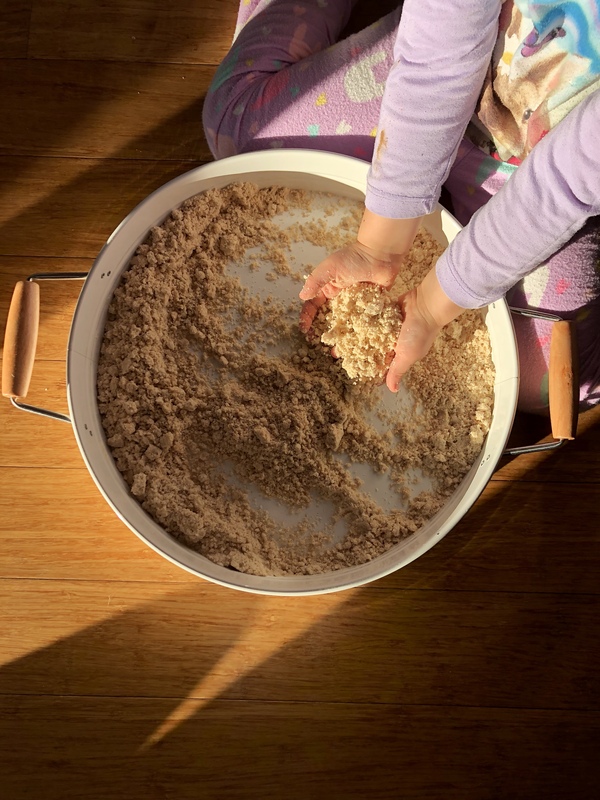 Home / Uncategorized / Edible Sand Making Sensory Play Safe for Toddlers too! 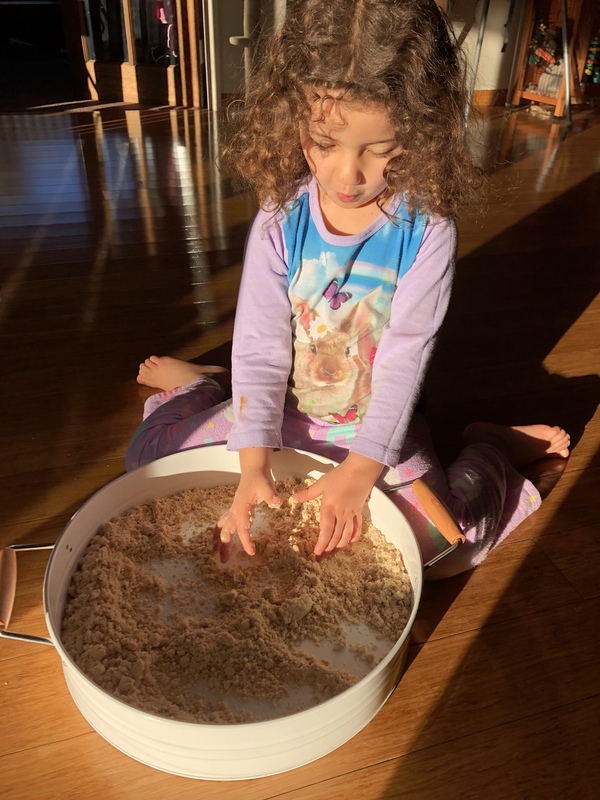 We love getting messy with sensory play at our house. 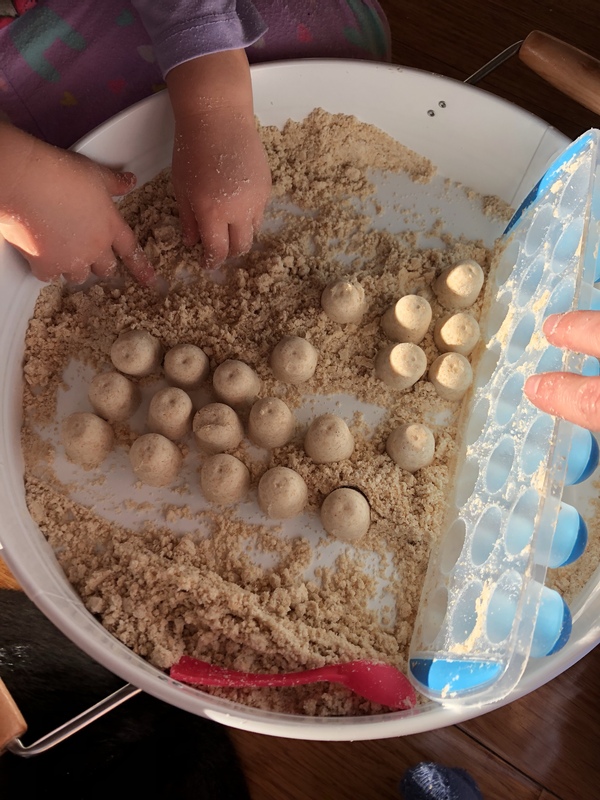 Pouring, poking, moulding, flexing, pressing, pinching, grabbing, stirring while exploring different textures makes learning fun and engaging! Miss 4 can typically refrain from putting the matter at hand into her mouth when asked however Miss 15m often submits to the temptation. 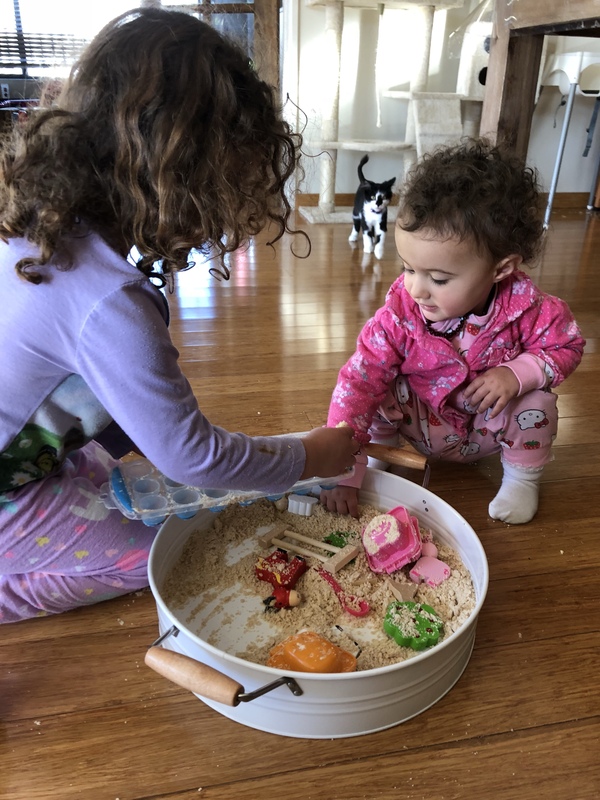 While she loves getting messy with her sister, we have to be very mindful of the mediums that Miss 15m can come in contact with which sometimes means she misses out. 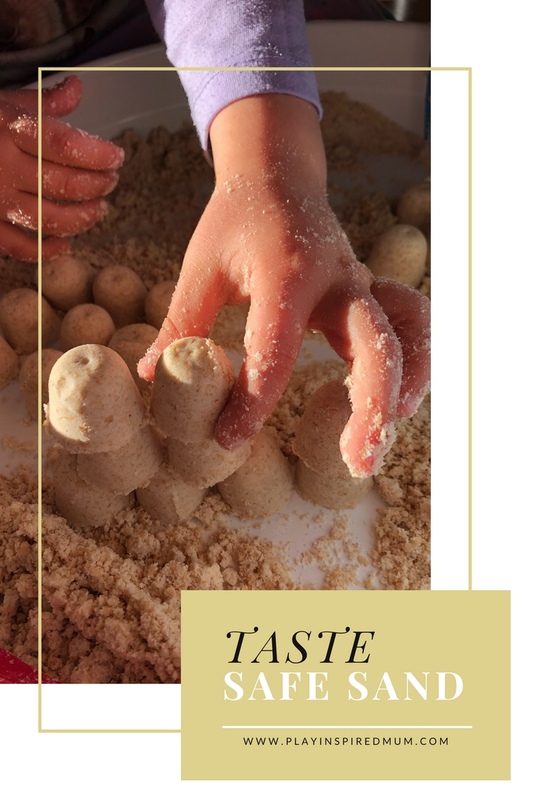 On a quest to find a substance that will both captivate and be safe to mouth, we came across edible sand. The awesome thing is that is made with just two ingredients that will highly likely be in your pantry! Exciting! That’s it! Just mix the two together and you are good to go! 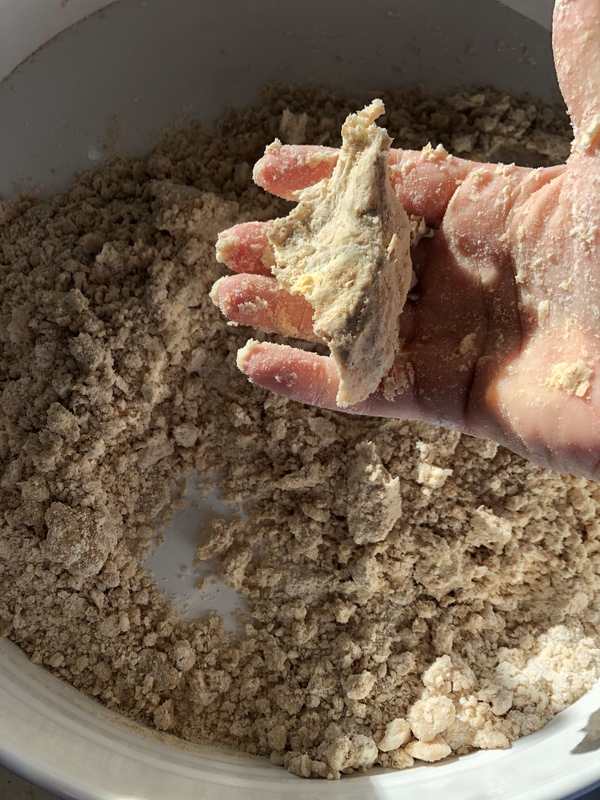 We used wholemeal flour and peanut oil. 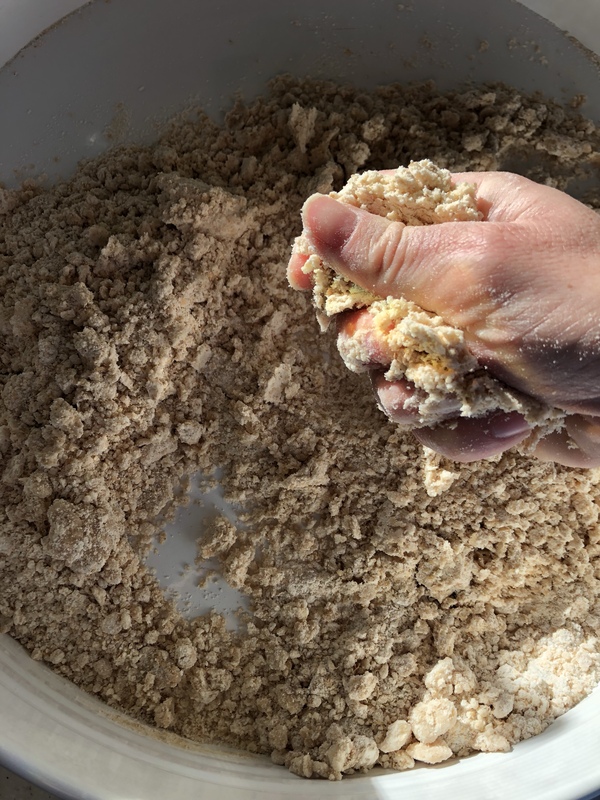 We quite a bit of baking and our wholemeal flour is the one that isn’t used as much as the others so we thought we would give it some love. The peanut oil was the fullest bottle and getting close to its expiry date hence why we chose it to be our oil of choice. Waste not want not! 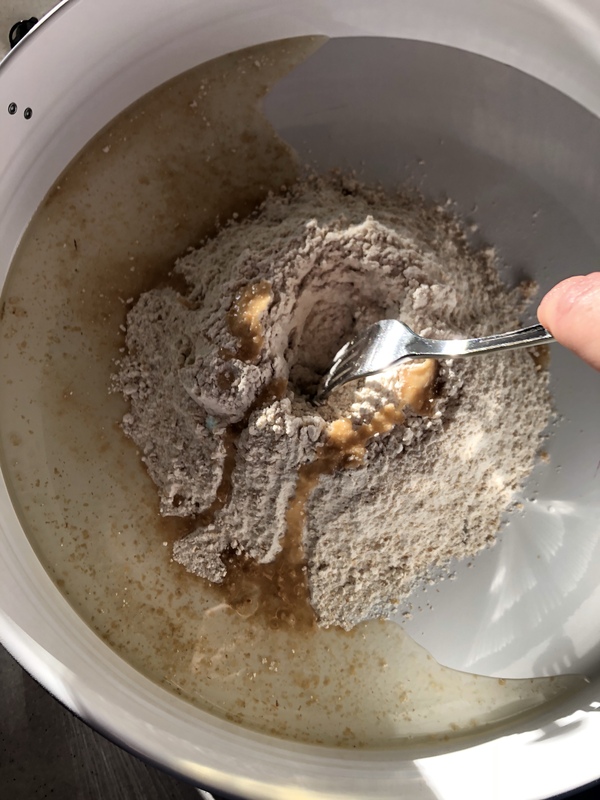 To create your edible sand all you need to do is mix the two together! 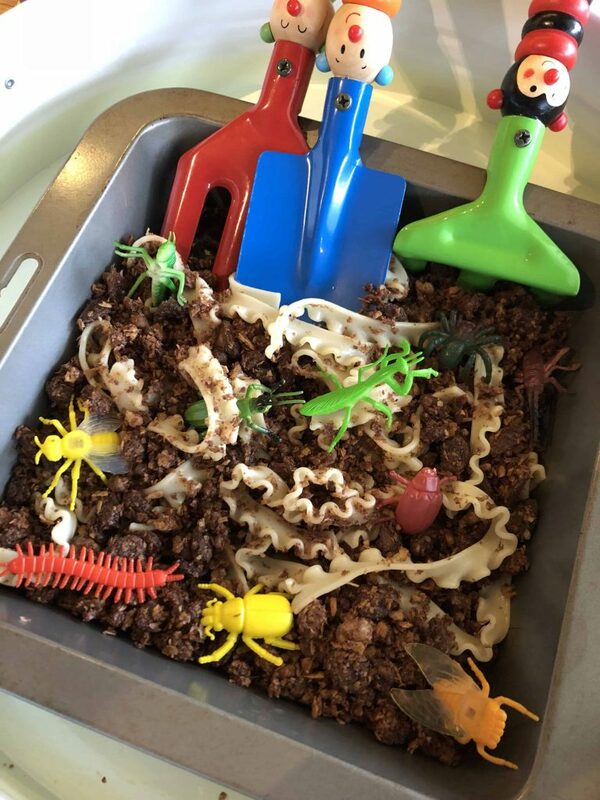 I mixed ours straight into our sensory tray. 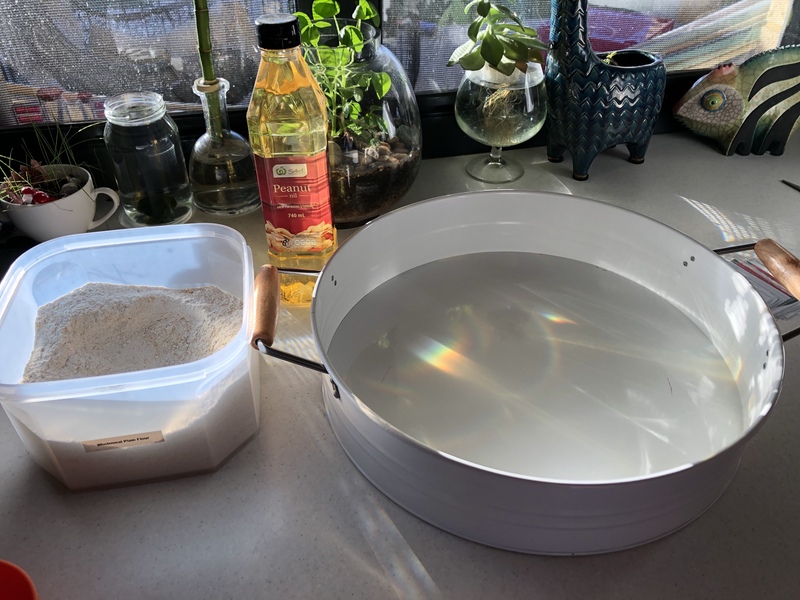 I measured out the flour first before drizzling the oil over our flour mound. 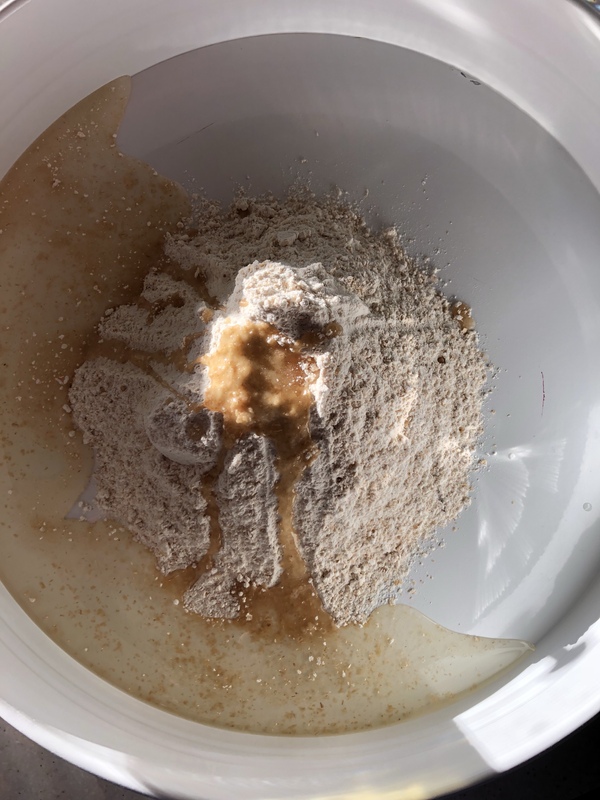 Using a fork I gently started to mix the oil in with the flour trying my best to avoid a puff of flour in the face. It didn’t take long to come together. 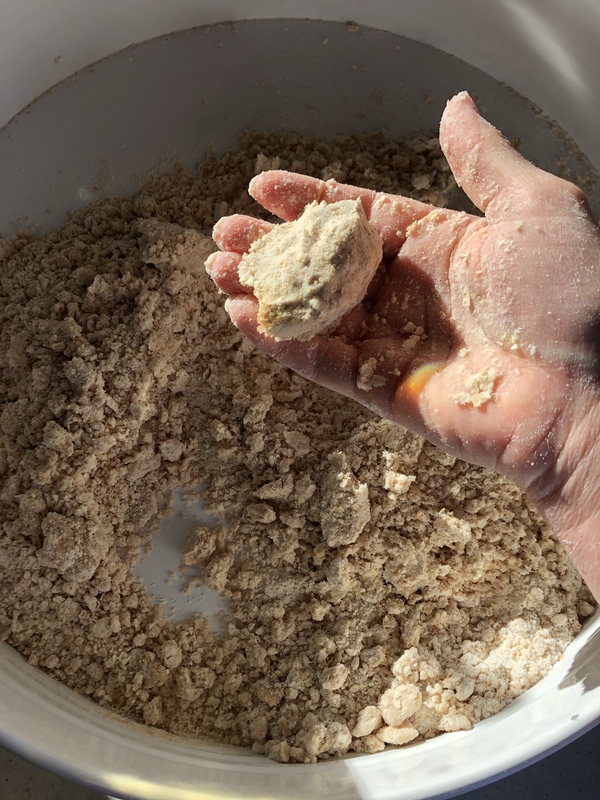 Once mix was starting to clump, I abandoned the fork and used my hands to from our crumbly ‘sand’. 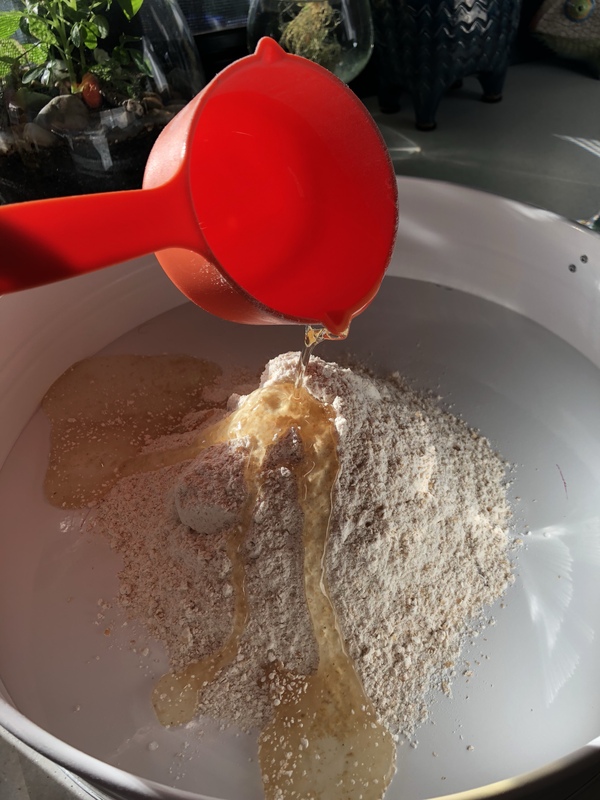 Some flours can be a bit more thirsty than others so you may need a bit more or less of each to get your desired consistency. This could be a good experiment for older children. Why not take away the measurements and see what they come up with? 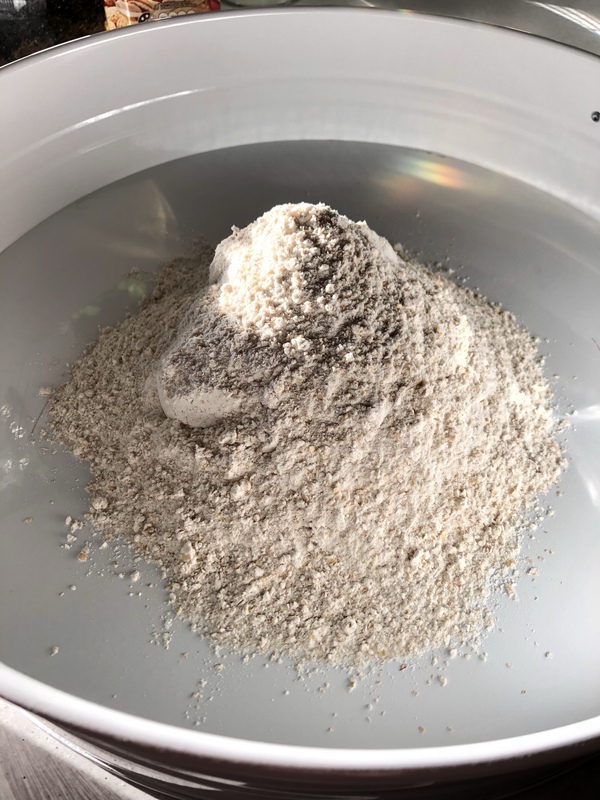 What I was looking for was a sand that is crumbly but will keep its form when pressed. This invitation to play was well received by Miss 4 who’s curious fingers were running through the mix as soon as she heard the word go! She love how it felt and how it could be moulded between her hands. 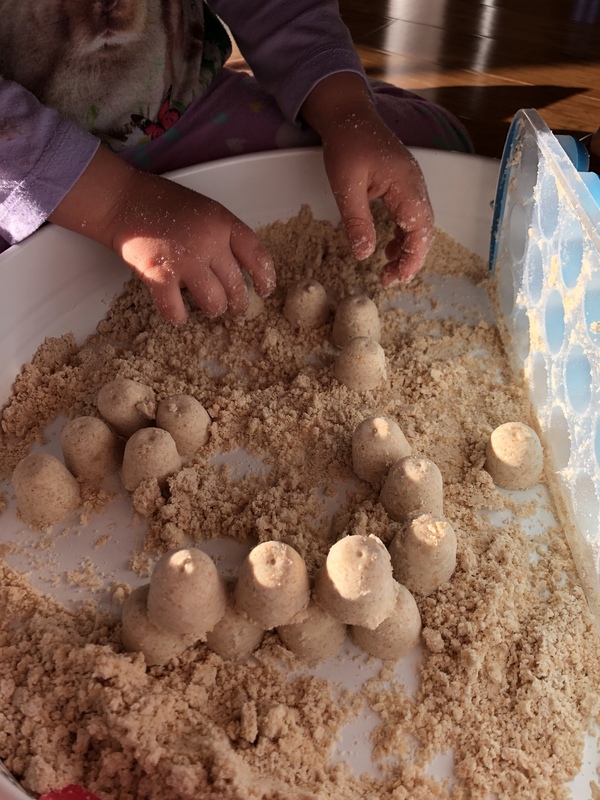 Once she had spent some time exploring how the sand may be manipulated, I started adding additional elements. The first elements I added were an ice cube tray, spoon and a couple of rice moulds. The ice cube tray was her first choice. 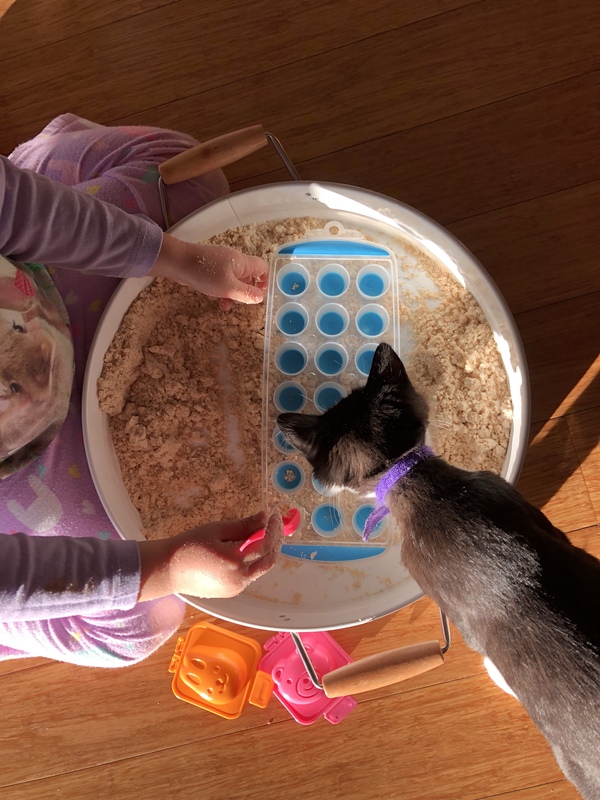 Miss 4 started spooning our freshly made sand into the reservoirs (which also got the attention of our kitty, Don Gato). 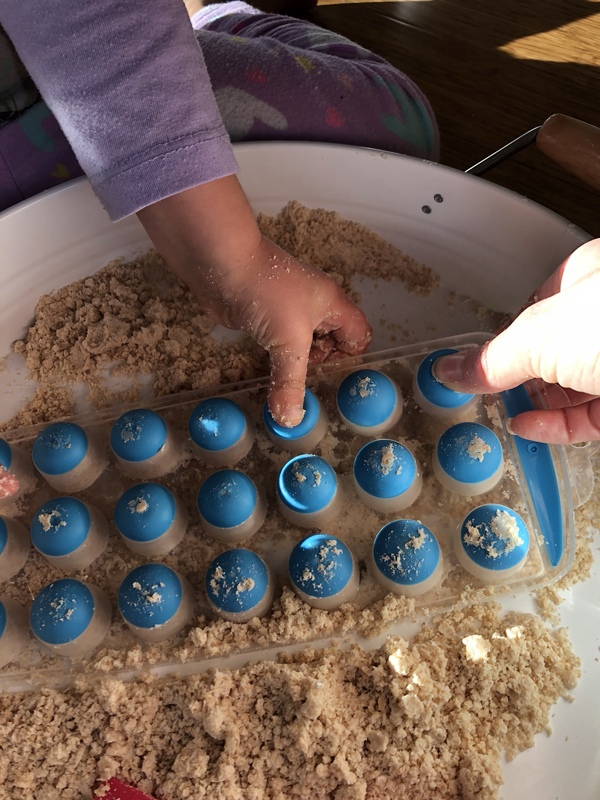 I showed her how to press the sand into the holes to compact them. While we worked together to fill the entire tray, we started a conversation around how bricks are made and all the different ways we use bricks. Once the tray was complete, we popped out our ‘bricks’ and Miss 4 began constructing a wall. 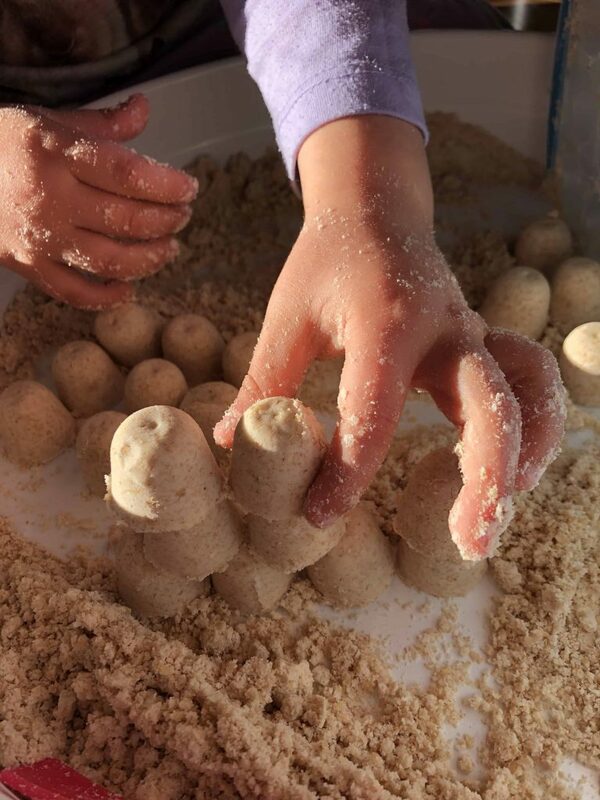 While building we continue to chat about the way the sand feels, how it can both firm up and fall apart with pressure, different things that we could make with it and all sorts. Once Miss 15m woke from her nap, she quickly took the opportunity to join in on the fun. We added another element to the play. Our wooden farm animal figurines were put to work! They were ploughing and covering themselves in ‘mud’, helping the farmer and even pooped to make the crops grow! 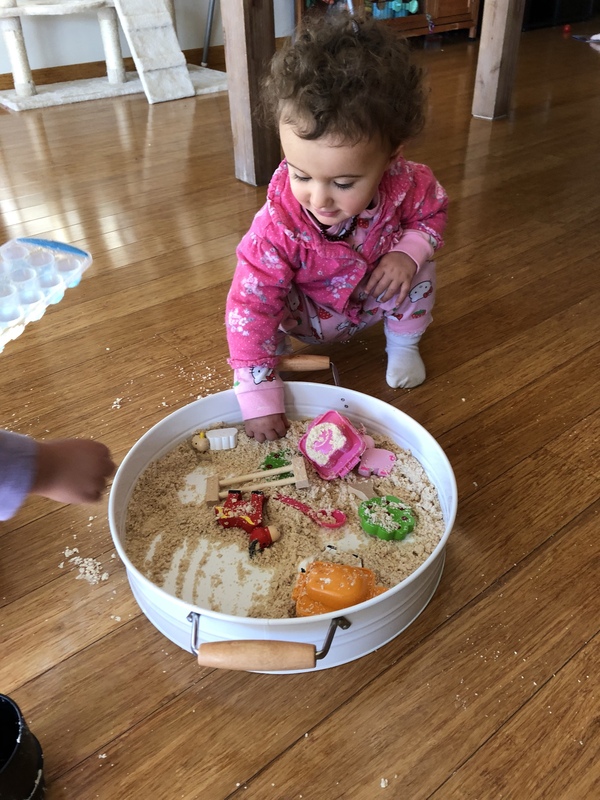 Miss 15m sampled some of the crumbly mix and it was AWESOME to just sit back and watch her explore rather than turning into helicopter mother of the year. The girls played happily together for quite some time. There was the odd squabble but for most part they sorted it out themselves. That is apart from the odd ear piercing squeal from Miss 15m followed by Miss 4 recoiling in tears (goodness that tiny child can reach an amazing pitch!) . Learning about compromise can be challenging but such is life! 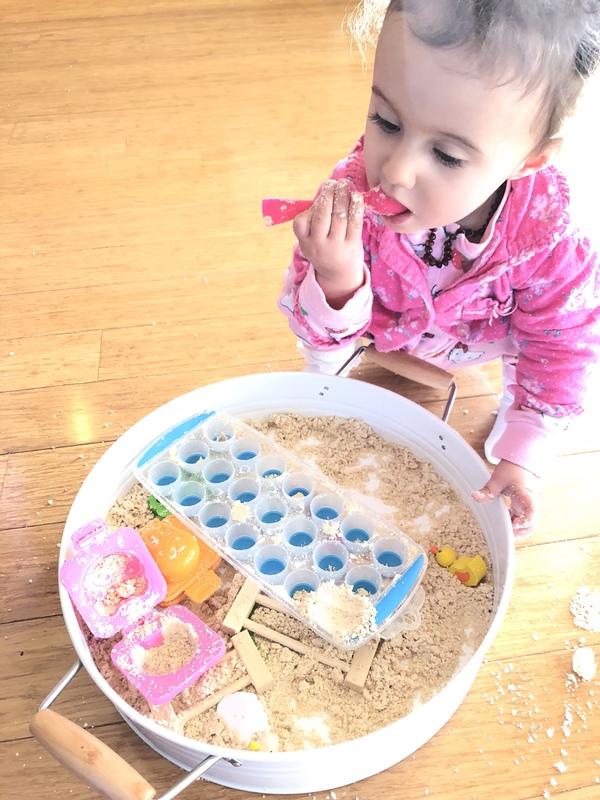 Our first attempt at edible sand was a huge hit! I’m looking forward to experimenting with other edible sensory mediums. Stay tuned! 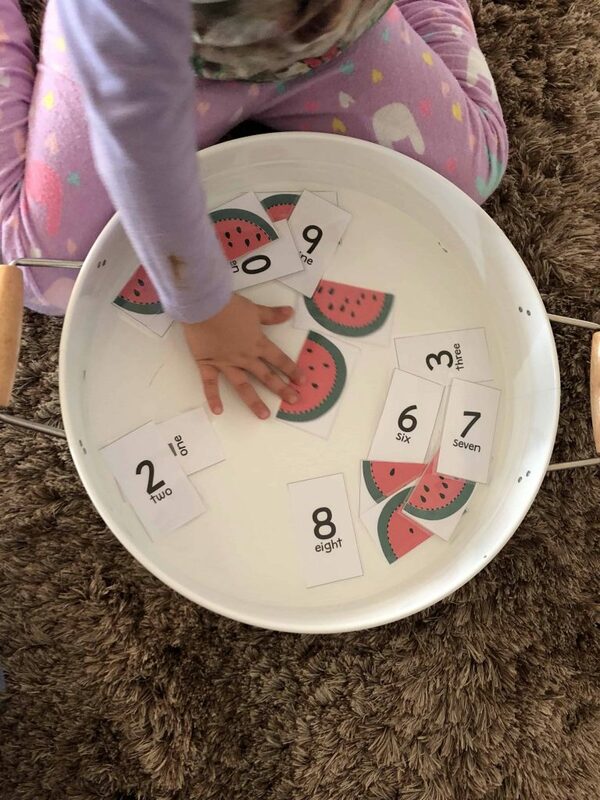 Previous ArticleWatermelon Fun with Numbers! So excited to try this out – perfect when it’s too hot to do ANYTHING! Yes for sure! Have you tried finely crushed ice? I will pop ice cubes into the Thermomix on hot days to make ‘snow’! It can be pressed into shapes for the first five minutes or so before starting to melt. Hope you get some relief soon! Fun! I will have to remember this for when my twins are big enough to play! This is so fun! I don’t even have kids and I want to make it! 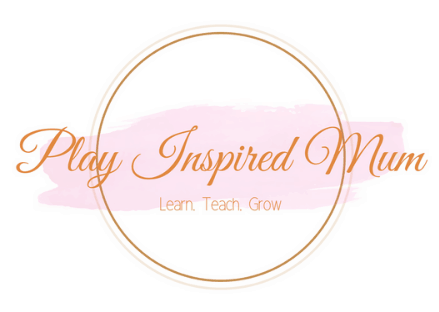 Haha It’s amazing how captivating sensory play can be – even for us grown ups! What a cool idea!! My daughter is getting super close to an age that this will be so fun! Thanks for the recipe and ideas! I wonder if you could add a touch of food coloring for some fun colors??? This looks great. I might have to give it a go with my kids. I can see them having a lot of fun with this.